Dr. Lee received his B.S. degree in biology from La Sierra University and graduated from Loma Linda University School of Dentistry in 2001 with a Doctor of Dental Surgery degree. He has also received a certificate in advanced implant therapy from UCLA School of Dentistry. Dr. Lee focused his further training in the art of cosmetic dentistry to provide the most beautiful and natural smile that dentistry can offer for his patients. 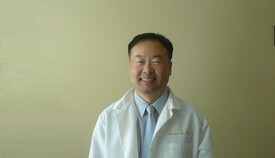 Dr. Lee is a member of American Dental Association, California Dental Association, and San Diego County Dental Society. When Dr. Lee is not working he loves to cycle, go hiking or fishing, and also loves to go for a walk with his family and his dachshund.